French Guiana, Suriname and Guyana are unknown countries for many people. Well, if you're the kind of traveler who wants to complete all South America, you likely start from French Guiana, and a Visa or Tourist Card is necessary to enter the next one, Suriname. Here is all the info to get the Tourist Card in French Guiana. Who can get the Tourist Card? Belgium, Bolivia, Canada, Chile, Cuba, Denmark, Germany, Estonia, Finland, France, Greece, Hungary, Iceland, Italy, Latvia, Liechtenstein, Lithuania, Luxemburg, Malta, The Netherlands, Norway, Austria, Panama, Paraguay, Peru, Portugal, Singapore, Slovenia, Slovakia, Spain, Czech Republic, Uruguay, Venezuela, United Kingdom, United States of America, Sweden, Switzerland. And who doesn't need a visa nor the Tourist Card? According to consulaatsuriname.nl, travelers from Argentina, Aruba, Bonaire, Brazil, Curaçao, Philippines, Hong Kong, Israel, Japan, Malaysia, Saba, St. Eustacius, St. Maarten, South-Korea. Nationals excluded from the previous lists still need to apply for a Visa. Check the requirements in the Consulate General of Surinam website. The cheapest is 10 euro (15 USD) for a 3-days transit visa, or 40 euros (45 USD) for 2-months multi-entry visa. Where's the Suriname Consulate in Cayenne? 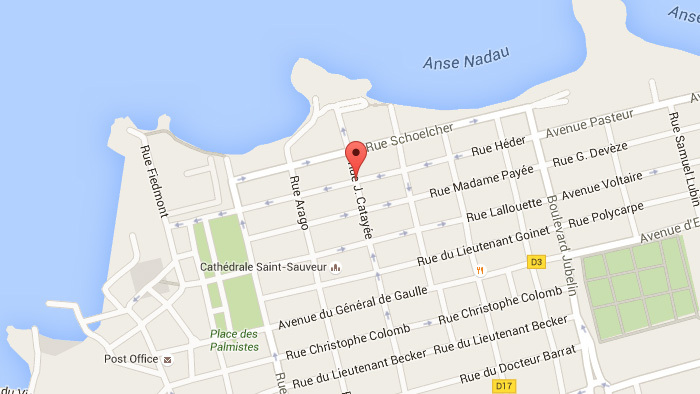 It's in the city center of Cayenne, in Avenue Léopold Héder. It's very easy to find! They open 9am to 2pm, from Monday to Friday. What do you need to apply for the Tourist Card? Passport with at least 6 months validity. 20 euros in cash (no debit/credit card). Or 25 USD. You can be asked for a returning flight. We had a flight to the Caribbean, but they didn't ask for anything. It's done in a few minutes, we just leave the passport, 20 euros and wait until they register the Tourist Card. 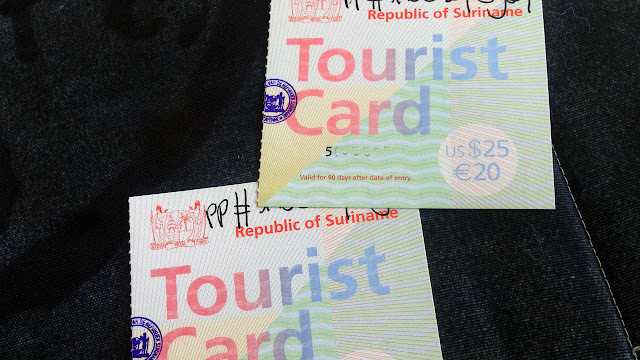 How long does the Tourist Card allow you to stay in Surinam? When you arrive to Suriname they will give you a 30 days stamp. If you want to stay longer (max. 90 days) you'll need to extend it in the Immigration Department. If you're in another country, it seems like you can also get it in all Suriname consulates.